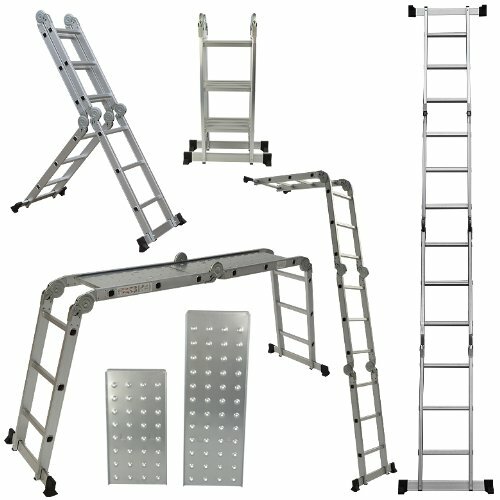 Have you ever thought what the best multi-position ladder could do for you? Perhaps not, but with one of these at home, you can conduct various tasks. You can use it to reach hard-to-reach places such as the ceiling or roof to fix fixtures. The ladder makes your work more accessible to achieve different heights safely. Furthermore, you can use it for painting the house inside and out to cleaning gutters. A standard ladder will not do you need a multi-purpose one that transforms into a double-sided ladder, work platform, single ladder, or trestle. However, before considering one on our reviewed list always consider your safety by looking for safety features available. 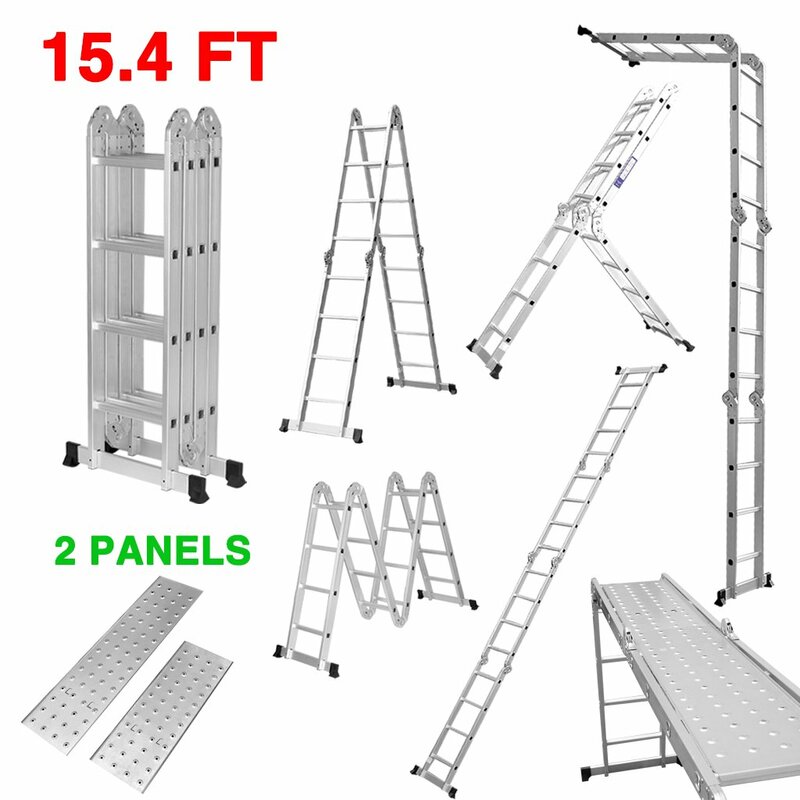 Secondly, think about the size, as there are different types of ladders available. Lastly, consider the weight capacity to support your weight. Other factors you can ponder over are the style and material the ladders constructed and best to pick one with durable construction. Luckily, we have considered all these factors and present you with the best ladders to use with multiple projects you may have. 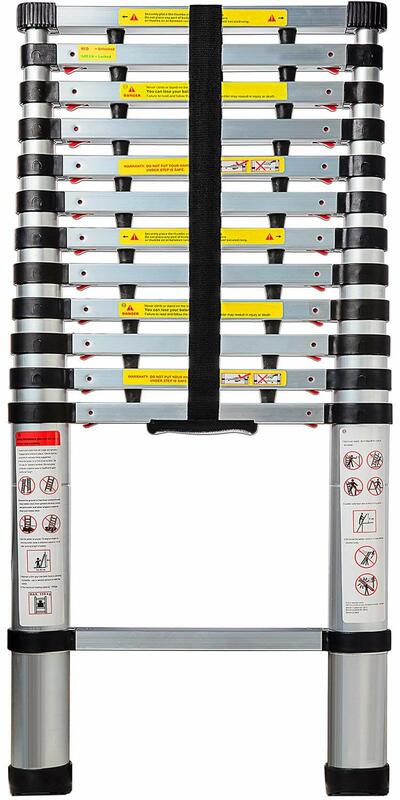 The OxGord multi-position ladder is a safe and secure stepladder to use. What makes the safety functions so confident are the interlocking steps working with two steel pins. You can feel assured that the steps will not fold in underneath you. The extension ladder reaches up to 12.5 feet, and you can use it at a 75-degree angle. The material used to construct the stepladder is aluminum and can hold up to 330 pounds. 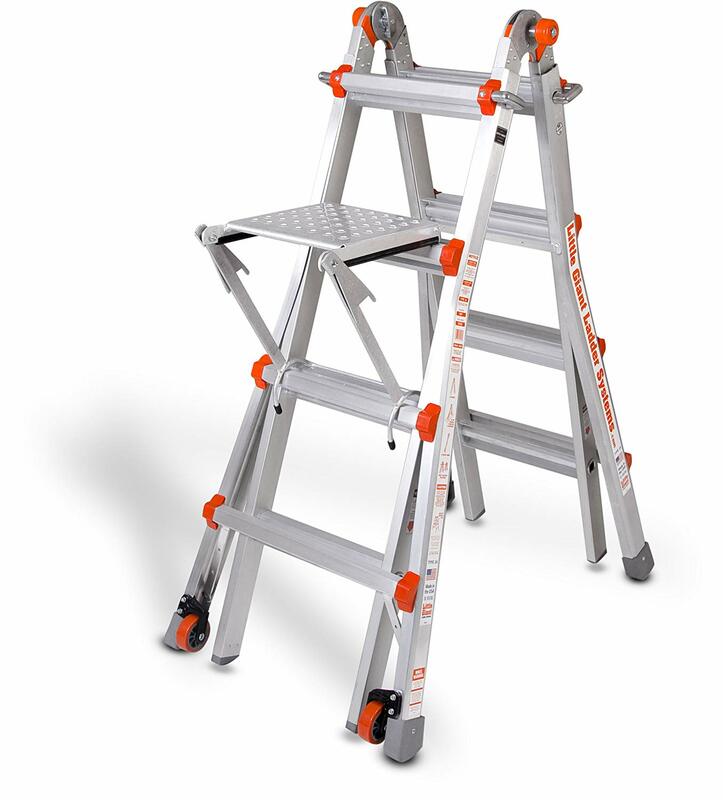 The stepladder weighs 14 pounds and is European Safety Certified. You also get a carrying bag with a user manual to see how to use the product. So if you need some steps to reach the rooftop, this is the one to have. The scaffold type multi-position ladder from Lifewit is a faithful helper when it comes to taking care of DIY tasks at home. 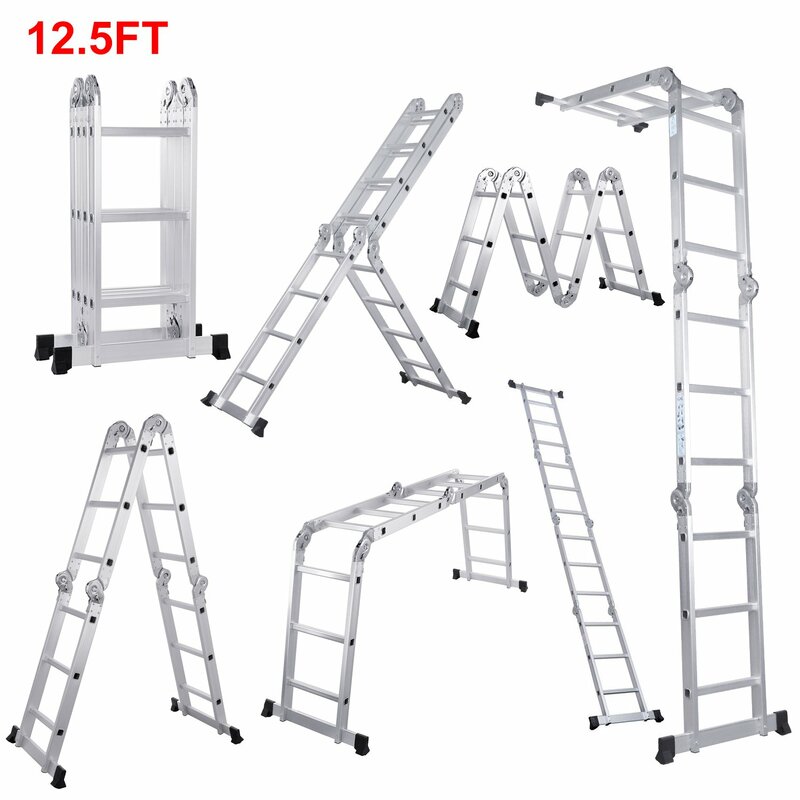 The stepladder offers you up to seven different uses and extends to 12.5 feet. The product has a durable aluminum structure yet remains lightweight to carry. The equipment can hold up to 330 lbs, and you can adjust it to four positions including a standoff position, scaffold, stepladder, and straight ladder. You can also use it at a 75-degree angle to reach high up places. To use it in multiple positions it has durable hinges with an auto safety lock. There are stabilizer bars and comes with protective rubber coating making it safe to use. Storing the item is a breeze with the compact 0.9 x 1.22 x 3.3ft size. Furthermore, it has a European Safety Certification and suitable to use on contracting sites as well. On each cube, you get twelve rectangular blocks, and it can hold up to 20 lbs individually — other materials used in the construction ABS and PP. Just imagine what you could do with this handy stepping tool at home—still unsure check the features. 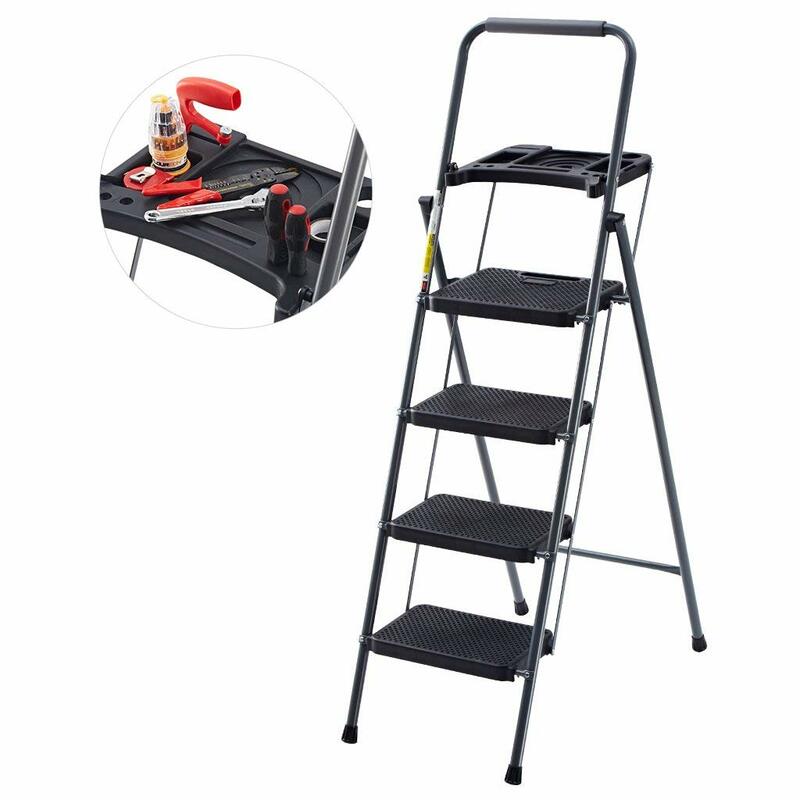 Here we have another incredible multi-position ladder you can use for different DIY projects. The Luisladder is suitable to use at home or work as it transforms into seven different formations. 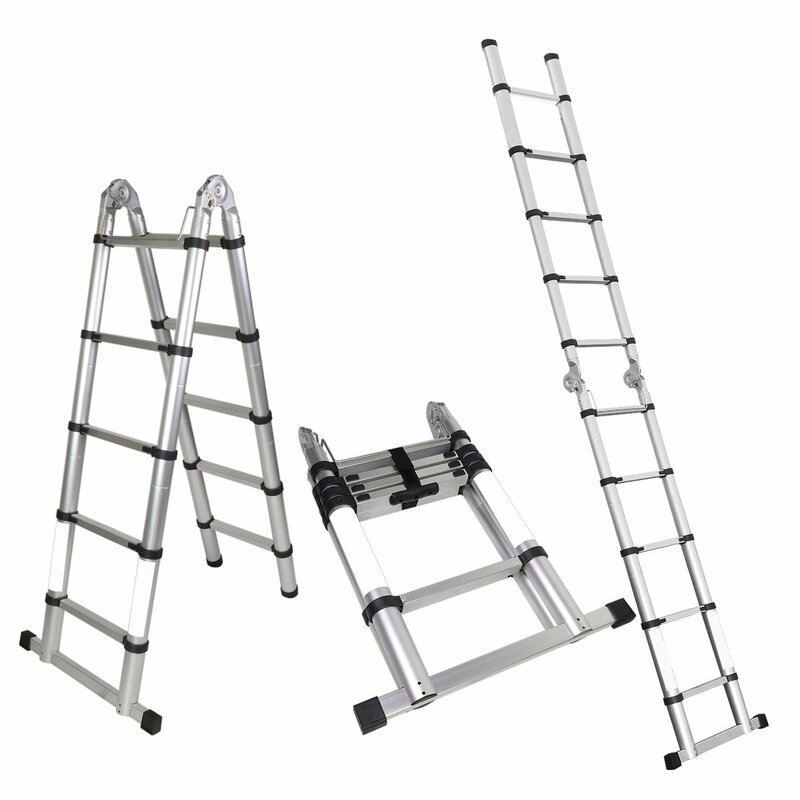 Reassembling the stepladder is comfortable with locks and hinges and provides added safety. 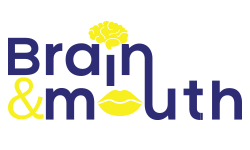 You can use it for paint jobs, getting access to a loft, cleaning, and so much more. 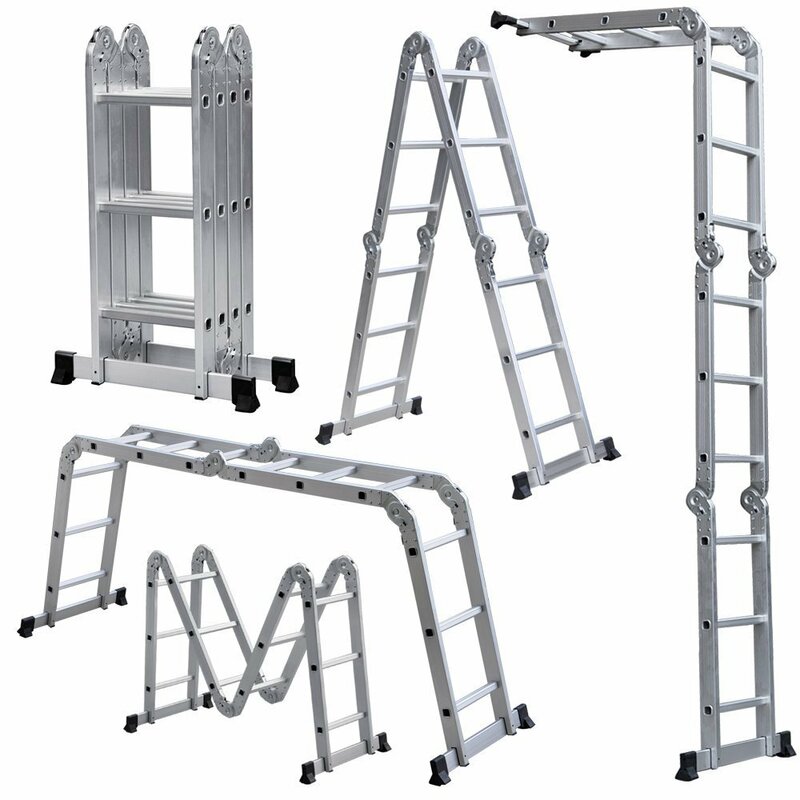 The product has a European Standard rating for safety and is one of the best multi-purpose ladders available. The aluminum alloy construction makes it durable and weighs 374.96 ounces. The product holds a weight of 330 lbs and comes with twelve steps. The ladder height is six feet and extends to twelve feet. You can even use it as a scaffold or leaning ladder. Still not convinced it is an excellent buy be confident with the outstanding features here. Do you need a ladder to access the attic or perhaps for lower roof access? It helps if you have the ALEKO with its smart design offering you twelve steps with a folding structure. The product has an aluminum construction and folds into four different positions. You can use it for small tasks to large projects outsides. The stepladder extends to 11 feet and if you need a little more extension best to look at the previous model. You do not have to be concerned that the product will move underneath you with the rubber feet. The ladder secures safe with an auto-locking hinge and holds a weight up to 330 lbs. Furthermore, you can also find it in a 16-step design as well. With the four-step ladder, you can use it at multiple-positions and perfect for any small home or apartment. To make the purchase even better, it comes with a convenient location to place your tools. The project tray makes your life simpler to take care of fixing tasks quicker. The stepladder offers you security to change a light bulb or take items from high places. The product folds up compact for storage and holds up to 330 lbs of weight. There is a handle to hold onto when folding or opening the ladder and removable. The steps are super wide with secure non-slip rubber protection. The snap joint ensures the ladder locks safely to prevent you from falling. Even the feet are slip-resistant and covered with durable rubber. So do you need to access high areas check the features out and decide if this is the ladder you want to have? For the shop or garage, the ARKSEN is a necessity to have. You can use it to accommodate different DIY jobs. The structure is aluminum and can hold your weight up to 330 lbs. To keep the item stored it folds flat and makes it easier to transport as well. The product is European Safety Standard Certified and converts from a stepladder, twin step stool, scaffold and more. The product locks secure with safety locks, and the feet are rubberized to prevent it from slipping. Further, the rubber helps protect your floors at the same time. You can transport the ladder in your car boot to take anywhere. 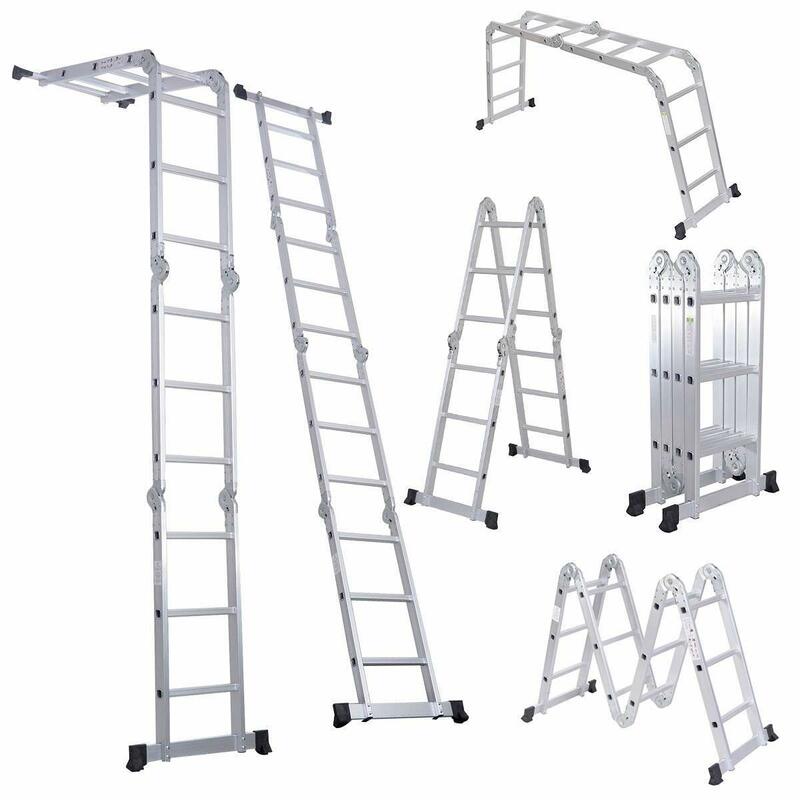 Compared to some of the other multi-position ladders this one comes at an affordable price. When it comes to multi-position ladder reviews, there has been a debate about the RRT model. The problem is there are different manufacturers of the product. The biggest concern is assembling the ladder, but with a bit of patience and directions, it helps. You will have to remove the plastic protection on the bottom to screw on the stabilizers. All you need is your screwdriver as an advantage, and they pop off. Once they are removed the part screws easily into place. To maneuver the stepladder it has levers to make the fold and unfold process comfortable without hurting your fingers. The item is compact once folder and fits on the back seat of a vehicle or in the trunk. The weight distribution is suitable for a woman to carry at 27 pounds. The extended 12-feet length is simple and gives you access to high-to-reach places. When placed in the A configuration you can reach up to 6 feet, and you can set the four sections into different angles. The next multi-position ladder has an A-frame construction. You can use it as an extension or telescopic ladder to tackle different tasks around or inside the home. The stepladder transforms from 10.5 feet to 14.44 feet making high-to-reach spots easy to paint. The product carries a European Safety Certification. Furthermore, the aluminum structure makes it lightweight to carry. For your safety, it comes with safety locks and once folded it is compact for storage. There are ten steps, and the item weighs 35 lb. The maximum capacity load is 330 lbs and standard in the European safety regulations. Furthermore, you can adjust the ladder into only two positions. Here we have another multi-position ladder from Finether. Compared to the previous model this one extends to 15.4 feet. The product has a lightweight aluminum construction with the multi-purpose and extendable design. For comfort, the stepladders equipped with wheels making it easy to move. Further, it also has the same European Safety Certification and holds a weight limit of up to 330 lbs. 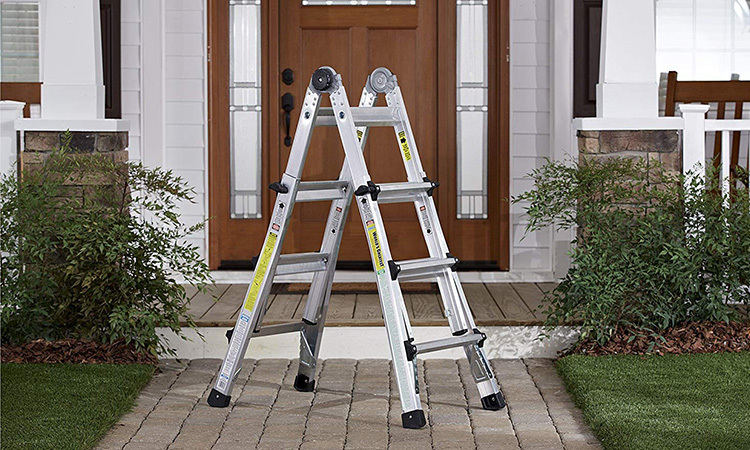 The safety ladder comes with a non-slip mat, two panels, and safety locking hinges. With the boards, you can use it in the scaffold assembly with ease. There are four folds times’ four rungs giving you 16 steps. The net weight of the ladder is 36.82 lbs and folds compact for storage. You may think the Little Giant ladder is tiny, but when used right it can give you multi-purpose use. The product comes with a triple lock hinge and telescopic sides. What makes it unique is it offers you up to 43 configurations and is a big list. Do you need a staircase, 90° ladder, scaffold, A-frame and more this is the one to have? The framework is constructed with aluminum and has wide flared legs making it stable in any position. The holding weight is 300 lbs on both sides for two people to use at the same time. Even moving and setting up the ladder is a breeze with the tip & glide wheels. The included versatile platform fits on the equipped rungs to use as a tray and serves as a stabilizer at the same time. Depending on the model, you buy the height, and multi-position use can change. With one of the top 10 multi-position ladders, you can find something useful to do with them. Always take the factors of weight, safety, storage, durability, and capacity into consideration. We hope that you find a suitable stepladder to help make your DIY tasks at home and work more accessible. The multi-purpose ladders offer you the versatility to paint the home, reach the roof & ceiling, change a light bulb, and take something out of the cupboard. All the stepladders reviewed have exceptional safety standards, is made of aluminum, and offers a weight capacity of up to 330 lbs. No matter which one you like, make sure it fits in with your needs.